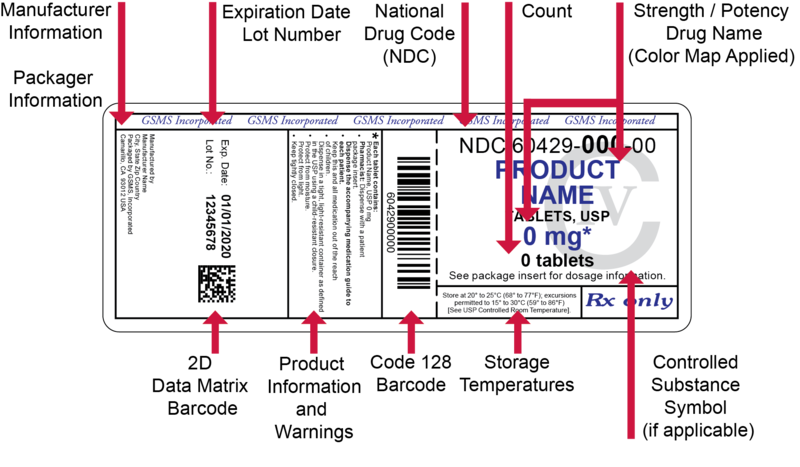 Prescription Ready describes our proprietary labeling and packaging, which improves efficiency for pharmacy staff and is designed to reduce errors when dispensing. Our unique pharmacist and patient-friendly label provides pertinent information in a simple format to minimize dispensing errors. 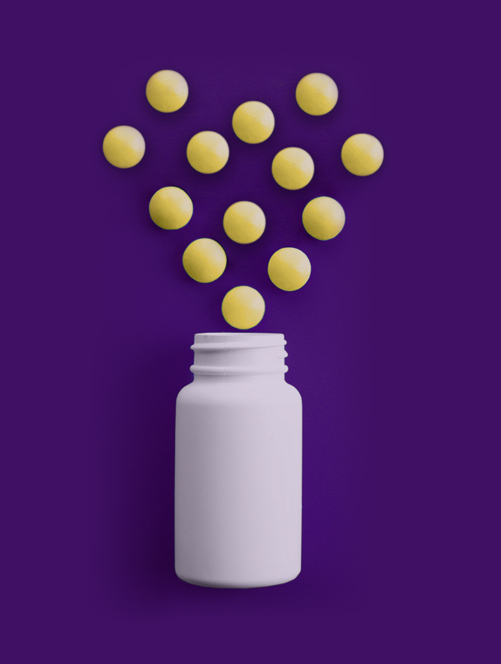 Our labels include the following information (when applicable): Product Name, Strength / Potency, Dosage Form (tablets, capsules, spray, powder, etc. ), Count / Quantity, National Drug Code (NDC), Expiration Date, Lot Number, Manufacturer Information, Packager Information, 2D Data Matrix Barcode, Product Information and Warnings, Code 128 Barcode, Storage Temperatures, Controlled Substance Symbol (if applicable). *All products will not necessarily contain all of these items. Packaging of products is customized based on specific requirements. The GSMS, Incorporated Color Map is used for identifying the Strength / Potency on the GSMS Safety Label. (60429 or 51407) in the search box for a list of our products.